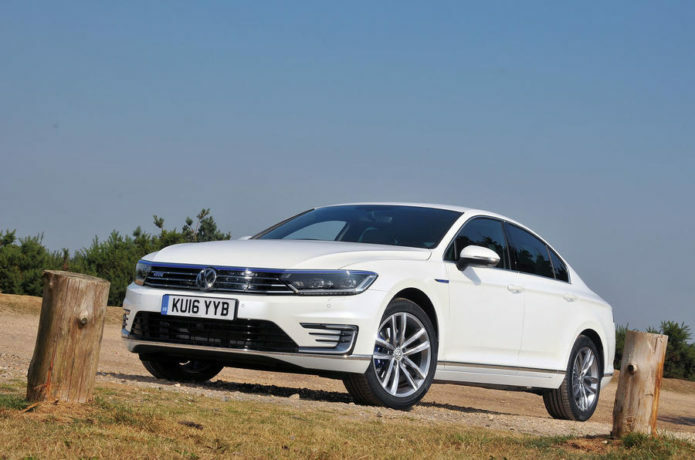 Volkswagen Passat GTE review: The best plug-in hybrid estate to buy? Are you ready to plug-in yet? In an environment where many are shunning diesel, yet where many petrol models still don’t deliver stellar fuel economy (and have a tax bill to go with them), plug-in hybrids look like the ideal option for the discerning motorist. Volkswagen is just one manufacturer to offer a growing range of plug-in hybrids – marketed under the GTE sub-brand. 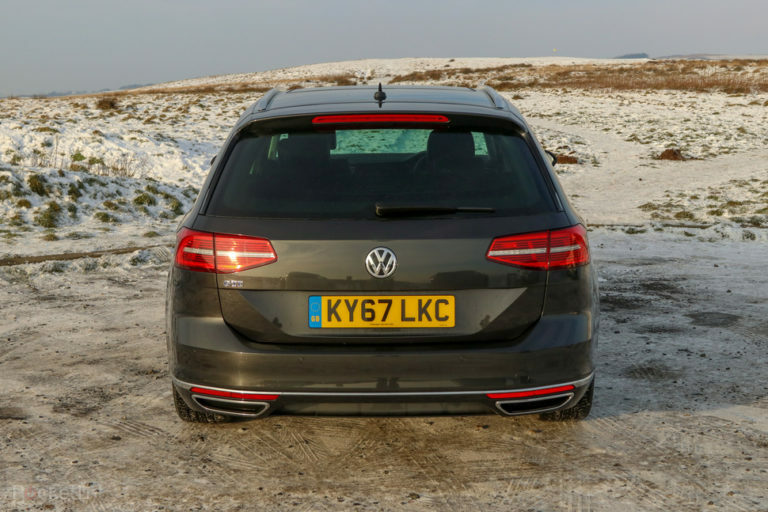 We’ve driven the Golf GTE in its pre-facelift form, but the Passat GTE estate, as reviewed here, is an interesting option because it’s at the larger end of the car size spectrum, providing space that exceeds an Audi A4. The idea of a plug-in hybrid is to offer the best of both electric and fuel worlds. The ability to drive on the electric battery only on shorter trips, but the reassurance of having a petrol engine on board, to allow you to go further when you need to without running out of juice. Then, when home, simply plug into a socket and recharge the battery. Proponents says that plug-in hybrids offer the perfect stepping stone to full electric cars (EVs) as we wait for battery tech to improve so we can can travel further on a single charge, and at less cost. Plug-ins are perfect for most people who have a typical, relatively short commute. The average daily mileage in the UK is 19 miles, which is theoretically within the Passat GTE’s electric-only range. Some critics, on the other hand, say that plug-in hybrids simply don’t offer the claimed environmental emissions savings or fuel economy in the real world. And because you’re dragging round a normal petrol engine and an electric battery, they weight more and are fundamentally inefficient as a result. In the case of the Passat GTE, the specifics of the setup are a 1.4-litre, turbo-charged petrol engine under the bonnet, rated at 156hp. And a 9.9 KwH lithium-ion battery pack, which supplies an electric motor, rated at 115hp. Join the two together, and the total maximum power available is 218hp, which rockets the Passat GTE estate from 0-62 mph in 7.6 seconds. On the official fuel cycle, it’s rated at a slightly silly-sounding 156.9mpg fuel economy average (more on that in a minute), can cover 31 miles on electric power alone, and emits just 40g/km CO2. Which is one of the GTE’s trump cards: because it attracts a benefit in kind (BIK) company car tax of 9 per cent. 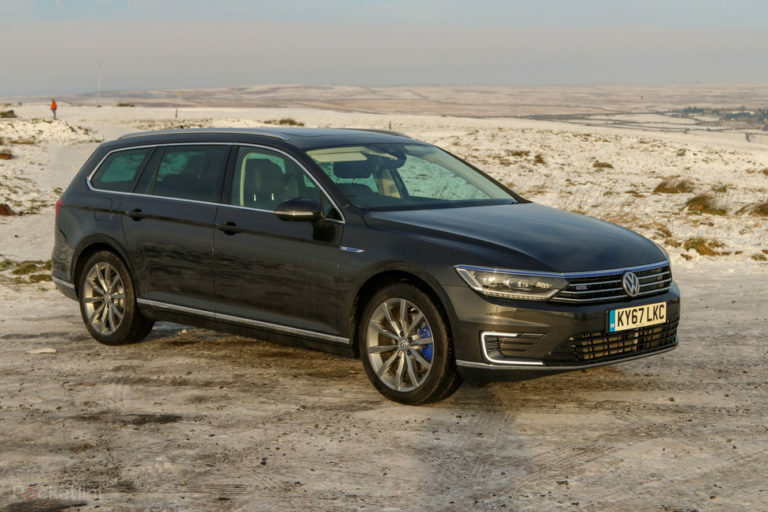 Even with a list price of nearly £40K, that makes the Passat GTE highly attractive to company car users, because in comparison, the regular 2.0 TDi diesel Passat attracts 26 per cent BIK. The reality of these figures, however, needs taking with a pinch of salt. Buy a Passat and expect to average 156mpg and you’ll be disappointed. Expect to go 31 miles on the battery alone and you’ll also be left frustrated. Unfortunately, the official fuel cycle figures (which, we hasten to add, aren’t VW’s doing – it’s just a rating process every car goes through in the EU) flatter plug-in hybrids. Volkswagen says realistic battery range is about 25 miles. 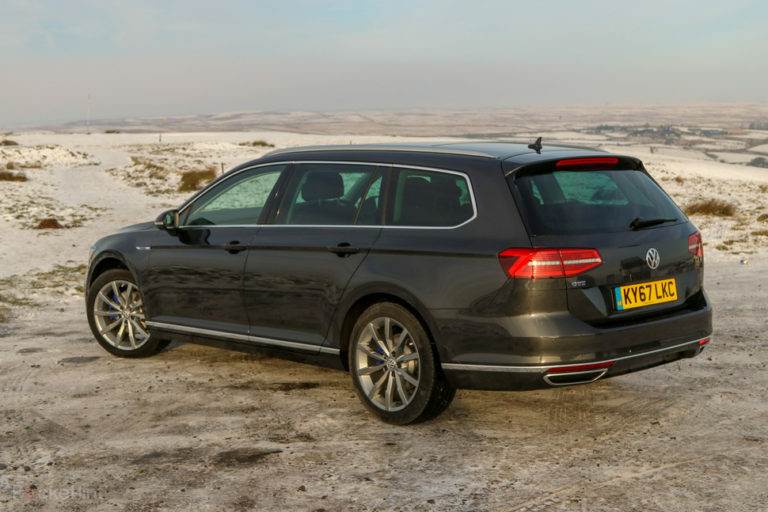 The most we managed to achieve was 16 miles – although temperatures during our week with the Passat averaged zero degrees Celsius. And we know lithium-ion batteries hate the cold (as do we!). So is a plug-in like the Passat going to suit you? That’s entirely dependent on when, where and how much you use your car. If you’re in London, it’s congestion charge exempt, while other cities allow cheap or free parking for plug-ins. The road tax is cheap (so long as you keep the list price sub £40k), and if you’re running one as a company car we’ve already explained the benefit of that. So there are savings that start to stack up from the start. More realistically though, if you’re driving 15-20,000 miles per year on a motorway, a Passat GTE (or any plug-in) isn’t really going to be for you. The average fuel economy cars like this can achieve in those conditions will be worse than if you buy the diesel. However, if you drive to a set place of work every day, or just use your car for commuting and the school run – and your daily mileage is typically 10-30 miles, with occasional longer trips – then a Passat GTE is made for you. Well, if you’re looking for an estate. That’s because on the day-to-day you’ll rarely see the petrol engine kick in. Our daily commute is nine miles, and on the way to work that means electric only. Then, only on the last two or three miles to home did the petrol unit need to kick in. Based on that type of use, you’ll save a chunk on petrol costs, and benefit your local environment by running mostly emission free. This all assumes you’ve got a driveway or garage to park and plug-in on, though. 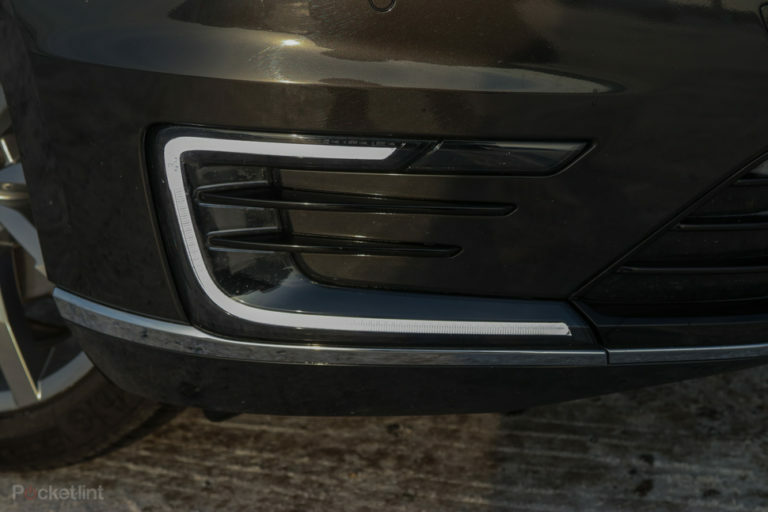 The Passat plugs in via a port in its front grille. It can be charged via a regular three-pin plug, or via the so-called Wallbox units, which have a higher kW rating and charge a car faster than a 3-pin plug. We’ve got one of these at home – you can get a government discount to have one installed – and it took two and a half hours to charge the Passat GTE from flat to full. If you use a three-pin, reckon on just over four hours. You can’t charge the Passat via the motorway Rapid-chargers, which EVs like Tesla can use, but you can use the normal fast chargers you’ll find in car parks and in some motorway services. 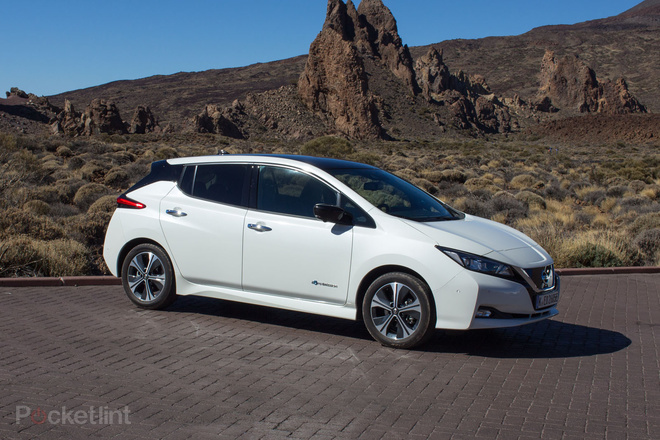 What’s it like to drive a plug-in hybrid? Driving the Passat GTE is very much like driving a regular Passat automatic. Volkswagen has sensibly setup the car so that you use it just like you do the petrol and diesel models. Beyond that charging flap in the grille, some blue GTE trim and a few control buttons in the cabin, you really will struggle to tell it apart from any other Passat. When the GTE is charged, simply press the start button and the Passat pings into life. There’s no noise – just a chime to signal it’s ready. Then select drive on the conventional auto shifter and move off in silence. There are three drive modes you can select from: E-mode, Hybrid and GTE. E-mode uses the battery until it’s depleted and keeps the petrol out of the picture in all but the most extreme circumstances, until the battery’s done (floor the throttle, uphill, at motorway speeds and the engine will still come on). Hybrid mixes the power modes as the car sees fit, for the best efficiency it can manage. Here, the car works a little like a Toyota Prius (a regular hybrid that you can’t plug-in) – so you’ll go a little way on the battery alone, but the petrol kicks in the minute you pick up speed and cuts out again when you come off the accelerator, where-in energy is recovered into the battery under braking. This mode means the battery lasts for longer. GTE mode is fun – the car flings both the petrol and battery at the situation in a fairly gung-ho manner and pipes some fake racey engine sound into the cabin for good measure. And yes, the Passat does really feel quite quick when in this mode, albeit a little synthetic – it’s not exactly what you’d call fun to throw around, because of its weight, but it’s still impressive. What impresses most is the refinement. 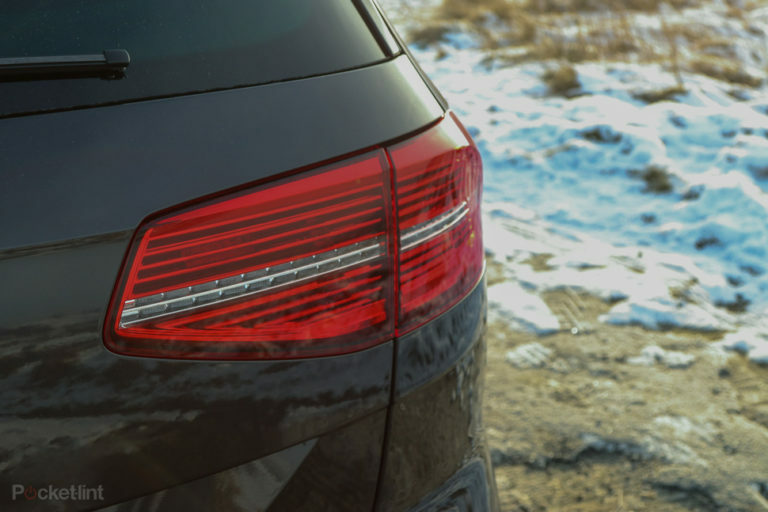 The Passat is a well-insulated, smooth car in both petrol and diesel forms. GTE just enhances this, because most of the time the engine isn’t in play. When it is, the shuttling in and out and transition from one form of power to another is deeply impressive – there’s no jerking or lurching or loud noises. 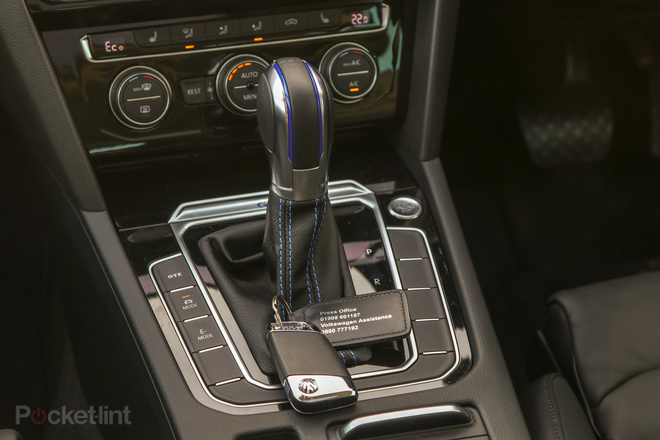 And the conventional, 6-speed DSG automatic gearbox keeps things far smoother and quieter than the CVT you’ll find in regular hybrids like Toyota’s Prius. Our biggest complaint with the GTE is that, because the electric motor produces so much torque, it’s very easy to spin the wheels if you apply too much accelerator. Given the week of bad weather we had, we thought it a shame that the electric motor didn’t drive the rear wheels, as some hybrids do, creating a part-time 4×4. And what if you don’t use the engine? If you’re thinking “that sounds like it’d be perfect for me – but what about if I don’t use the petrol engine for months?”, then worry not. VW has used special coatings, a special oil, and programmed the software to periodically fire the engine to make sure it’s protected and doesn’t come to any harm from large periods of in-operation. You likely will use that engine though, because drive beyond the suburb limits, down a motorway for a couple of junctions, and the petrol almost always kicks in. In this situation, the GTE is less impressive – not because the experience goes to pieces, but because if you keep the speed up, the car is quite heavy and fuel economy suffers. A 50 mile run down the motorway, with the first 16 or so miles on the battery, returned us an average of 46mpg. The other aspect that impresses is space. Some plug-in hybrids make you compromise on rear space, or insert a lump into the boot floor for the sake of the battery. Yes, the GTE’s boot is technically reduced in size to 485 litres (from 615l) but the above-the-floor boot space is the same. 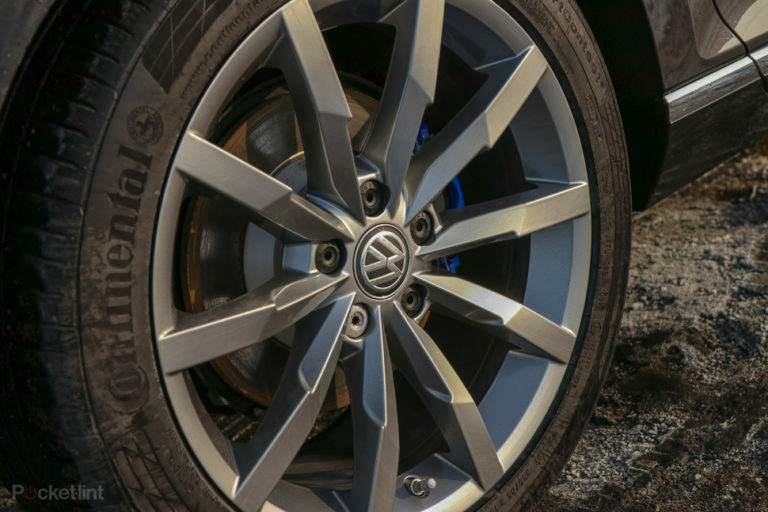 It’s just that in the Passat GTE you simply won’t find the spare wheel or extra storage compartment below the floor, which you will in the regular car. The Passat is a nice space to spend in time, too. The slightly angular dashboard style is high quality, with soft-touch plastics and nice chrome editions, while the standard ergo-comfort seats provide excellent comfort over long distances. On our upper-spec Advance trim level, they’re leather trim too. There are two trim levels – regular GTE and GTE Advance. GTE gets you an 8-inch centre screen with Navigation, LED lamps, the ergo-comfort, 14-way adjustable electric seats and 18-inch wheels. Advance spec adds leather seats, bumps the centre screen up to 9.2-inches, and adds gesture control (but removes buttons), adds the 12-inch digital driver cockpit display, and a panoramic roof. All the tech works well – with the digital cockpit reconfiguring the gauge on the left-hand side depending on mode (in GTE it becomes a rev-counter, in E-mode it swings between power exertion and battery regeneration mode). But we could probably live without it. Likewise, we now prefer VW’s smaller, 8.0-inch touchscreen – you don’t get gesture control (but that’s fine, as it doesn’t work that well) but you do keep a physical volume knob, and App-Connect – which is VW’s way of connecting an Apple or Android phone and working CarPlay or Android Auto through the display. You can also get an App for your phone for the GTE, meaning you can remotely heat or cool the car and programme it to start and stop charging or take advantage of cheaper, nighttime electricity rates. Our Advance specification test car felt extremely well equipped, with the only options being a driver assistance pack (£1225), Dynamic Chassis Control (£725) and Keyless entry (£405). However, the Advance spec tips the price of the GTE Estate over the magic £40,000 mark. Under the UK Government’s new road tax structure, that means you’ll pay an extra £310/year for years two through five of ownership. 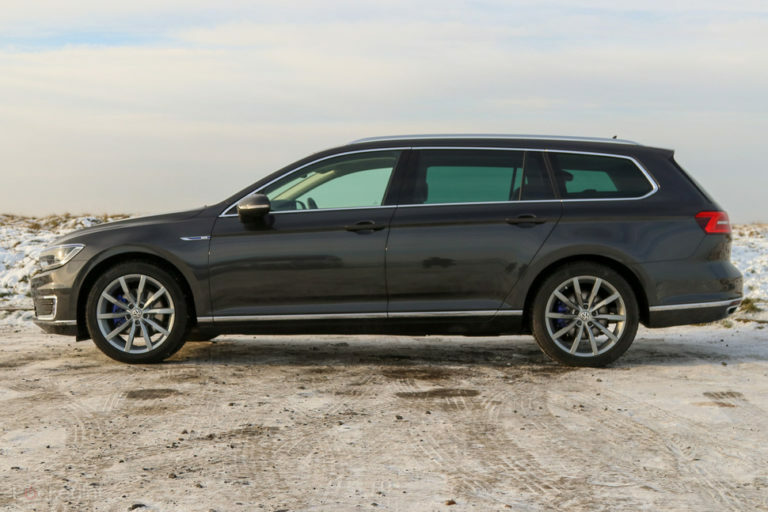 Given the non-Advance spec Passat GTE Estate is £39,030, you could add metallic paint on and still keep the list price below £40,000, thus saving yourself a heap down the line. And we don’t think you’d feel that short-changed on the equipment front either. Whether the Passat GTE is the car for you, and whether you’ll like it, will depend on two things: your personal day-to-day driving routine; and the context from which you’re coming. For those primarily urban bound, with a regular commute, or staring a fierce company car tax bill in the face, a Passat GTE could be the answer. But if you’re driving 20,000 miles per year on a motorway or have already jumped on the electric car bandwagon and are looking for a vehicle which provides the same emissions-free thrills, you might be disappointed. While the GTE has impressed us in the way it works, given that our day-to-day context is now a fully electric car (BMW i3), we found it perpetually disappointing we could only travel less than 20 miles without the engine coming on. It’s also pretty pricey. And if you’re not bothered about the space, or the premium badge, but are keen to embrace electric cars, then a fully electric Nissan Leaf or Renault Zoe is available for a lot less. In isolation, the Passat GTE is an impressive plug-in hybrid. It’s well resolved, spacious, smooth, and quiet. The technology – both the drivetrain and in the cockpit – works very well too. Indeed, it’s a premium stepping-stone towards a fully electric future – and one that impresses with its urban economy and performance in equal measure. If you’re ready to go fully electric, the new Nissan Leaf offers a 40kWh battery, meaning its range will reliably hit 150 miles. It’s good to drive, well equipped and good value too – you can get into a Leaf for a price that starts with a 20, and enjoy the fully electric experience. However, it’s nothing like as premium feeling, or as spacious as the Passat. Unlike the Passat, the Prius doesn’t plug in – only the more expensive Prius Prime offers the similar plug-in benefits. 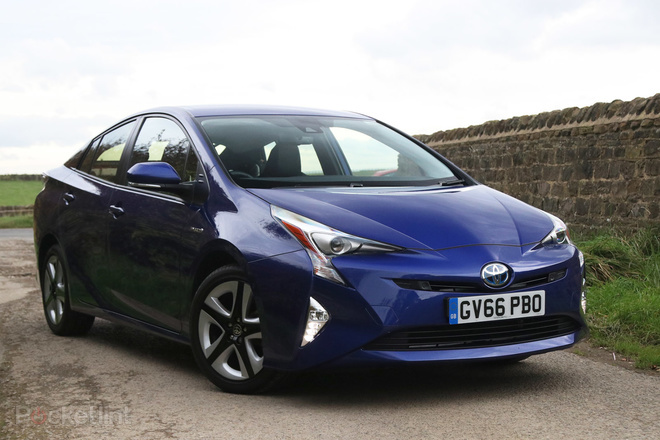 However, as the oldest and original hybrid car, the Prius is now refined and well defined, surprisingly spacious, very well equipped and will deliver 55mpg without trying. You’ll never need to plug it in, either. 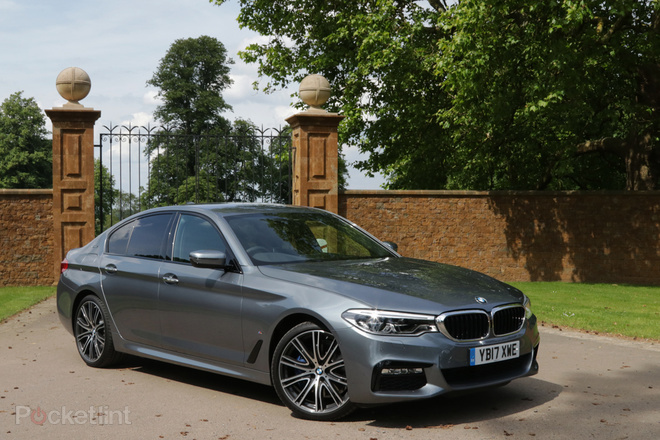 Larger and more expensive than the Passat, the 5-Series isn’t available in estate car form as a plug-in hybrid, annoyingly. As a saloon it’s still impressive though, just like the Passat, for its power and refinement. The BMW disguises its weight better than the Passat and is more fun to drive with it.